Great workers often embody paradoxes. They may be both visionary and have attention to detail, for example, in the activities in which they excel. They may be introvert by nature, but able to go into role and be extrovert when necessary. Such workers also blend being structured and supple to achieve success. A great athlete is structured in their planning and approach to performance, for example, but ensures they are supple so they can perform at their best. People often need to be structured in their work. They also need to ensure their minds are open to deal with challenges. People who are supple – rather than stressed – are more likely to perform superb work. 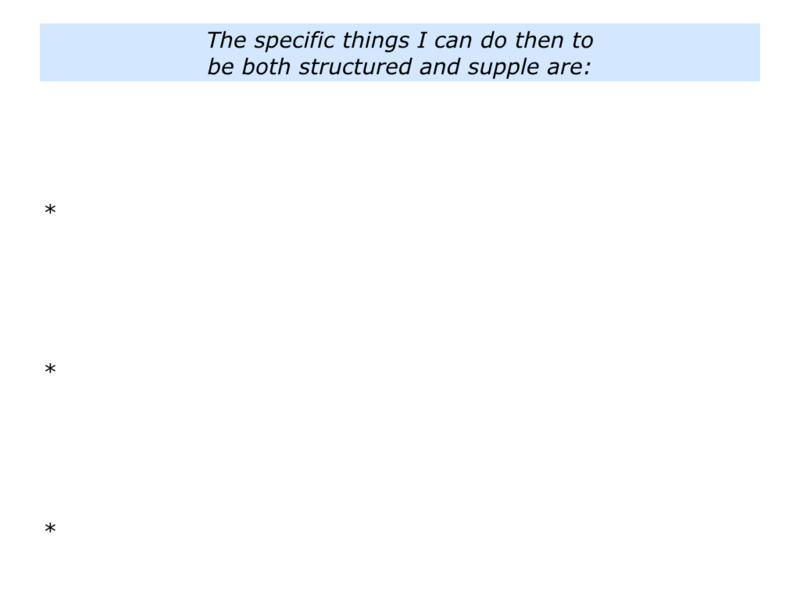 There are different definitions for the word supple. Some describe it in the following ways. Being easy and fluent without stiffness or awkwardness. Being able to perform bending or twisting movements with ease. Looking back, can you think of a situation when you were both structured and supple? You may have been writing a book, playing a sport, tackling a project, leading a team or whatever. If you wish try tackling the exercise on this theme. This invites you to do the following things. 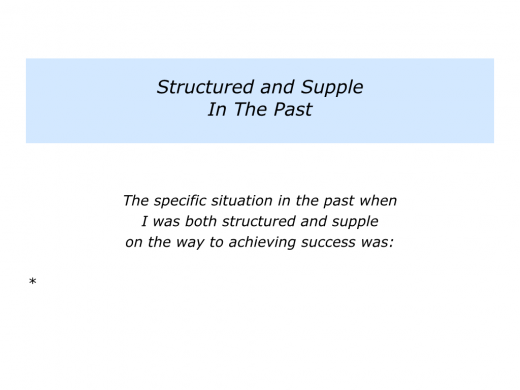 Describe a specific situation in the past when you was both structured and supple on the way to achieving success. Describe the specific things you did to blend these qualities. Describe the specific things that happened as a result of being both structured and supple. Great workers are like mountaineers. They start by planning how to achieve the end goal, which for the mountaineer is to get to the summit and get back safely. They also plan how to deal with multiple challenges. Mountaineers follow a clear plan when climbing, but constantly scan what is happening. Staying alive calls for staying alert. It calls for being supple in mind and body on the road to achieving success. Great workers adopt a similar approach. Let’s explore these themes. Imagine that you are planning to tackle a project. You may aim to write a book, run a seminar, lead a team, build a business or whatever. One approach is to start by clarifying: a) The picture success; b) The strategy for achieving success; c) The structure you want to follow to achieve success. There are many models for making this happen. One approach is to focus on the What, Why, How, Who and When. Bearing in mind the project you want to tackle, you can clarify the real results you want to achieve. 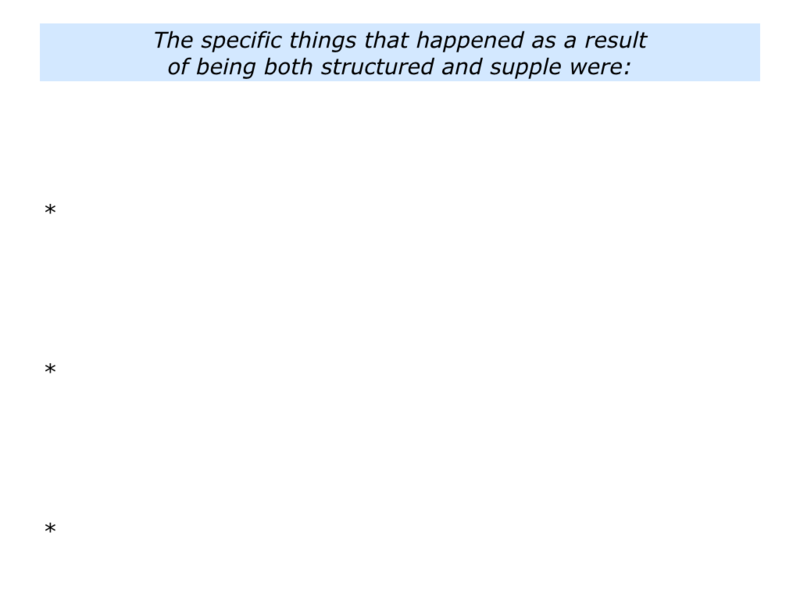 You can then translate this into a clear picture of success and complete the following sentences. Starting from your destination and working backwards, you can then create a clear structure and plan. This includes getting some quick wins to create momentum on the road towards achieving the goal. Great workers follow a structure that is geared towards reaching the goal. They also recognise that it is vital to remain supple in their body and mind – rather than stressed – in order to achieve success. Some people focus on managing their energy properly. They eat good food, get enough sleep and organise their time in blocks. They make good use of their prime times – the times when they have most energy. They also build in times for rest and recovery. People may also do their equivalent of the athlete’s loosening up exercises. Different people do this in different ways. Some start by devoting some quiet time to thinking ahead. Focusing on their long-term picture of success, they may ask the following questions. What do I want to do today towards achieving my picture of success? What for me will make it a successful day? What are the actual words I want to be saying at the end of the day? How can I do my best to achieve these results today? What are the actual things I want to do and when today? How can I encourage myself today? How manage my energy during the day? How can I build in time to rest, recover and refocus? 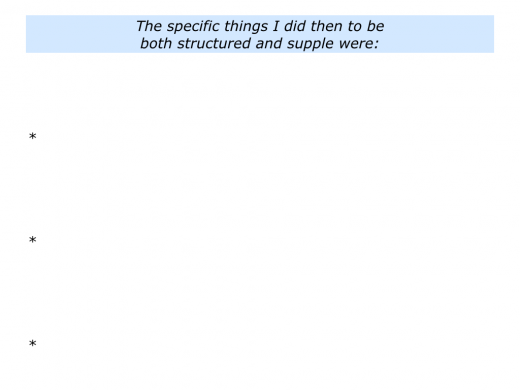 How can I, when appropriate, rehearse what I want to do in specific situations? How can I focus on the real results to achieve? 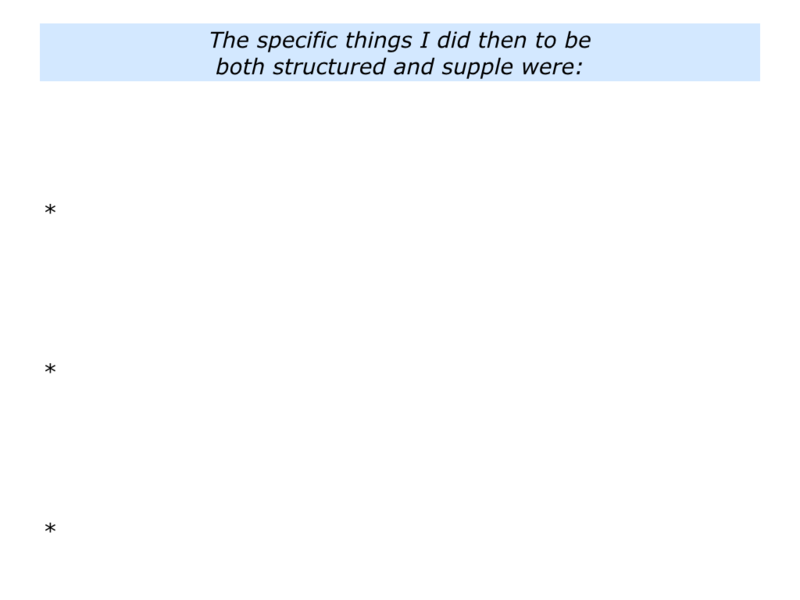 How can I pursue my chosen strategies for achieving these results? What are the possible challenges I may face? How can I stay calm when I encounter challenges? How can I find solutions by focusing on clarity, creativity and concrete results? How can I now get stuck into the work and get some quick successes? How can I keep building on what I do well and improve in the other areas? How can I keep working to achieve my picture of success? Let’s return to your own life and work. 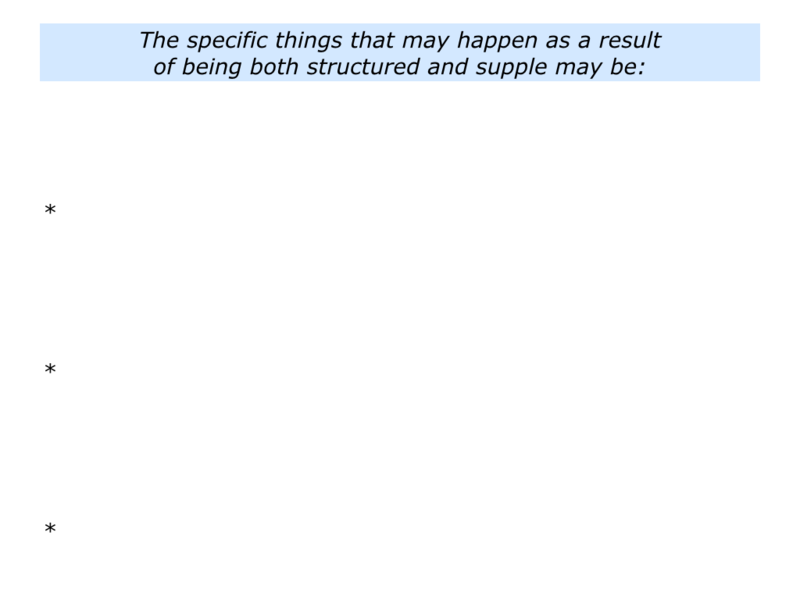 Looking ahead, can you think of a situation when you may want to blend being structured and supple? You may want to do this in a specific aspect of your personal or professional life. If so, how can you get the right blend? What might be the benefits – both for you and other people? 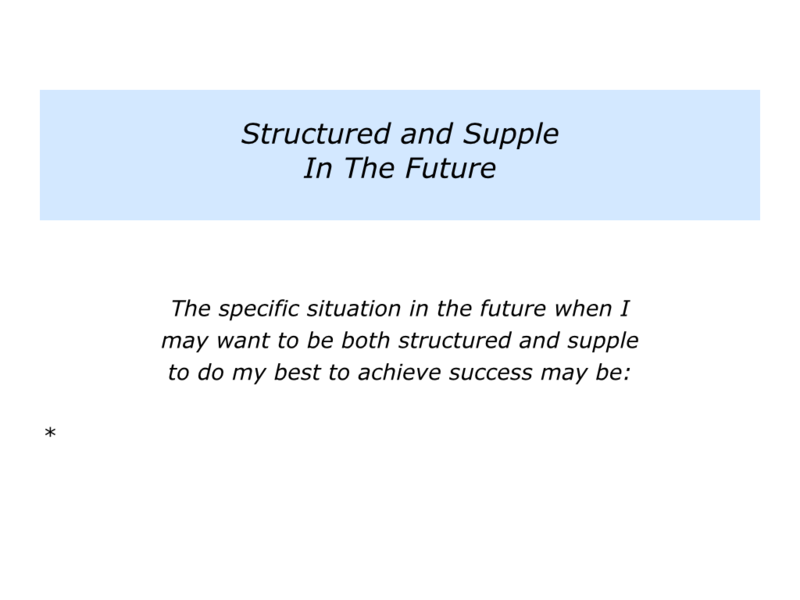 Describe a specific situation in the future when you may want to be structured and supple to do your best to achieve success. Describe the specific things you can do to take this approach. 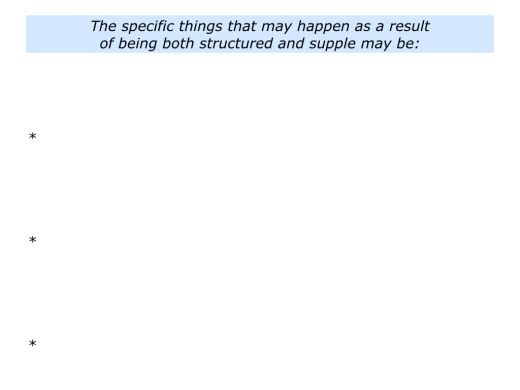 Describe the specific things that may happen as a result of being structured and supple.